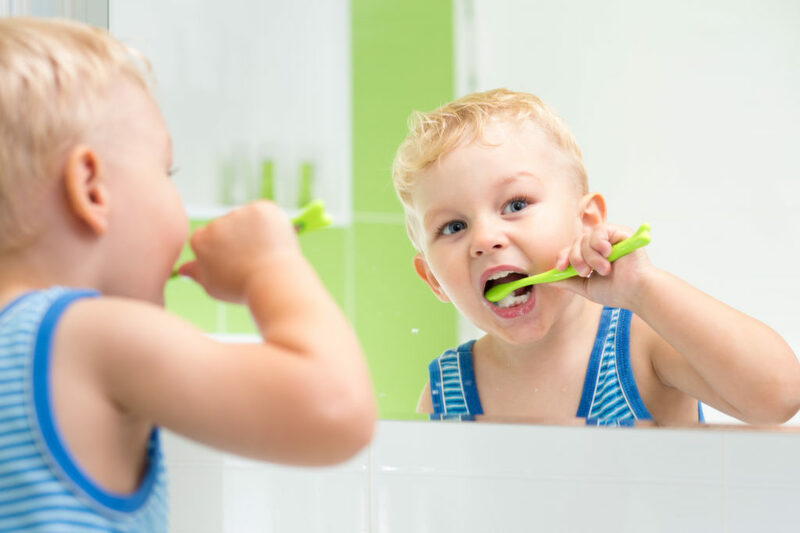 Struggling to get your toddler to brush his teeth without a battle? 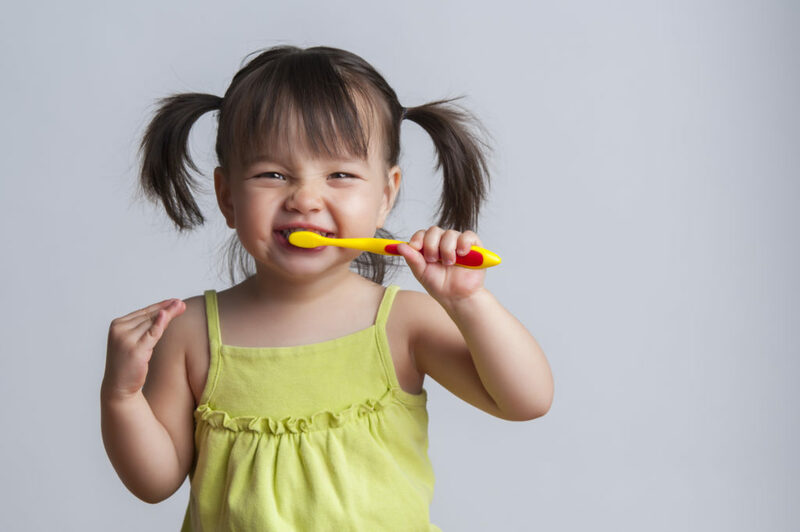 These tips and methods will help yu get your toddler to brush his teeth! For a long time, I dreaded the twice a day tooth brushing I had to give Ryan. It was a hassle. It was an argument. Sometimes I would get kicked in the face. Sometimes I lost my cool. Sometimes Ryan ended up crying. Sometimes I ended up crying. At 3, my independent little boy no longer wanted to sit still while I brushed his teeth. He also didn’t want to brush them himself. (or, if he did, it was so begrudgingly and half-done that it was as if he hadn’t done it at all.) So we would spend sometimes 30 minutes trying to brush his teeth to my satisfaction. Sometimes I let amateur brushing slide. Until I stumbled upon a few ways of brushing his teeth that actually worked and without the tantrums. I’m sure I’m not the only one with a ridiculously strong-willed and stubborn toddler. With that in mind, I wanted to compile and share some of the methods we used to brushing Ryan’s teeth without (much of) a struggle. As a big brother, Ryan has a fascination with being a baby, He loves to play ‘Baby Ryan’ which is when I jokingly (and exaggerating) coddle and treat him like a little baby. On nights when he is giving me a rough time with the teeth brushing, I’ll use this method. I’ll sit somewhere, gather him into my lap with a ready toothbrush and his head in an accessible spot, and start cooing. “Oh, baby Ryan! You are such a good boy. I need to brush the wittle baby WyWy’s toofies!” Basically being as obnoxious as humanly possible. He LOVES it and will almost always go with it. I’ve also done this for “Doggy Ryan.” It really just depends on the mood he’s in. This is the easiest way for me to get Ry to let me brush his teeth. With a toothbrush ready, I’ll look at Ryan and gasp – “Oh, gosh, Ry! I see Crusher in your mouth! Open up, I need to brush him out! !” Crusher is a character from his favorite TV show. Upon hearing this, Ryan laughs and allows me to scrub his teeth for about 30 seconds, usually with me making comments about what a ‘sneaky truck’ Crusher is. At this point, it goes one of two ways – he’s fed up or he encourages it. Fed up: I say, “Phew! I got him. That was close! Oh.. wait! Now I see Pickle in there!” and the cycle of brushing out his favorite characters continues until I feel like his teeth are clean. I’ve also done this with animals! We all know how much a chart can encourage even the grumpiest littles to get more done – we used one when potty training and I love that I can bribe Ryan to do just about anything with the promise of a sticker. 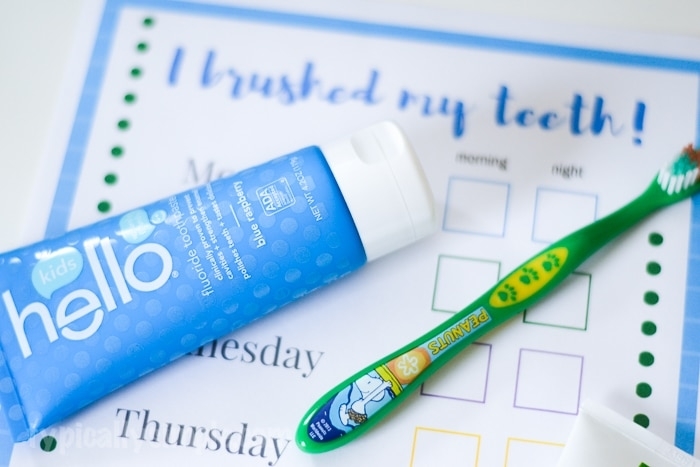 My friend Kelly from Typically Simple creates the cutest printables and shares a cute tooth brushing chart here! Try brushing your teeth at the same time. Sometimes kiddos will do anything to emulate their parents. It might be inconvenient (uh, brushing your teeth at 7 pm when you fully intend to indulge in a post-bedtime dessert?) but it’s definitely worth a try! I’ve also done ‘mirror’ games with Ryan when brushing his teeth – I brush my teeth facing him, and try to get him to do the exact same thing I’m doing. This might not be the best plan of action, but we’ve all had those nights when you’re just like, “oh, my goodness, PLEASE go to bed. I will do anything if you just brush your dang teeth and get in bed.” So I will admit – sometimes bribery comes into play. Choose small, fun bribes that might get your kiddo interested in the trade and go for it. -Daddy will throw you three times onto your bed if you brush your teeth. -You can read one extra book if you brush your teeth NOW. -You can press the button to turn on your nightlight. -A bonus of 5 extra minutes of TV time if you brush! Nothing extreme – no new toy, no promise to go somewhere – nothing like that. Just something small and fun, that holds value to your kid. This is usually my last resort, but hey, sometimes you have to do what you have to do. I should note – after each brushing I do, I allow him to try and brush his teeth himself. I guide him a bit with the motions and encourage him to do it himself. The only reason I do the bulk of the brushing is because I don’t want his learning curve to be a reason he has cavities or other teeth issues. So there you have it – some of my favorite ways for convincing my littles to brush their teeth. 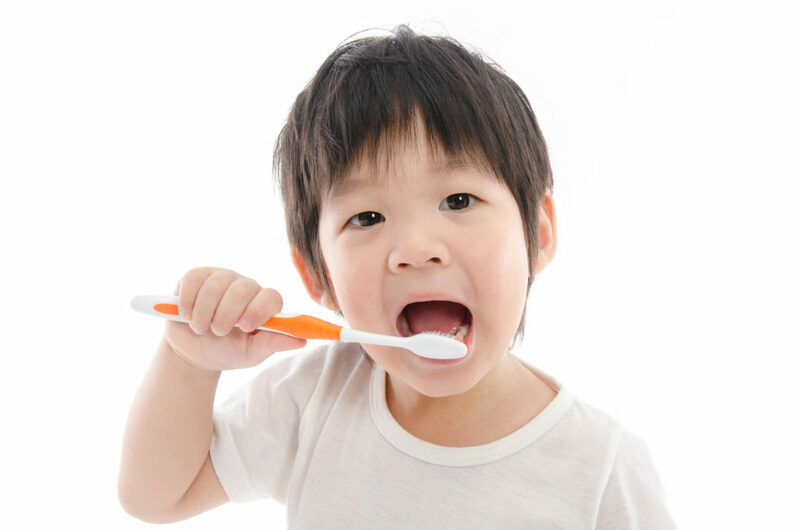 Let me know in the comments – how do you get your kiddos to brush their teeth? Thanks for this! We’ve been struggling with this like crazy!